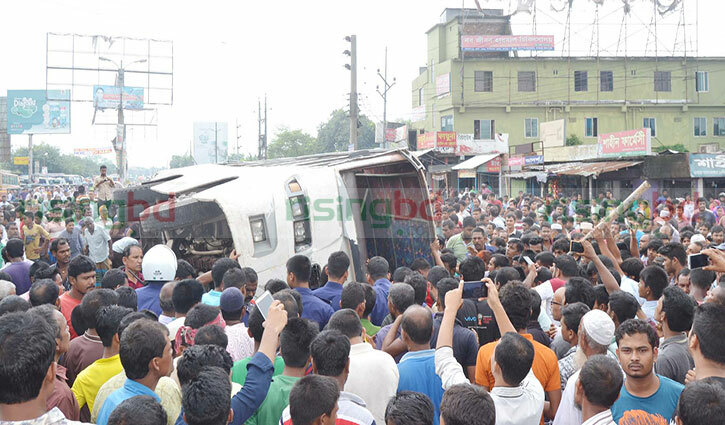 Staff Correspondent, Rangpur: Two pedestrians including a woman died as a bus rammed another bus at the central bus terminal area of the city around 12:30pm on Friday. The deceased were known as Hasina Begum, 55, wife of Golam Mostafa of Afzalpur village under the district’s Mithapukur upazila, and Dulal Chandra, 45, son of Jogesh Chandra of the city’s Borobari hindupara. Fifteen bus passengers also sustained injuries in the incident. The injured were admitted to Rangpur Medical College and Hospital (RMCH). According to Police and witnesses, a Gaibandha-bound Mayer Aashirbad Paribahan speedy bus (Dhaka Metro-Ja-14-1086) hit an M K Paribahan bus (Rangpur-Ja-04-0031) while its driver was taking U-turn at terminal intersection, leaving two pedestrian dead on the spot and 15 passengers injured. 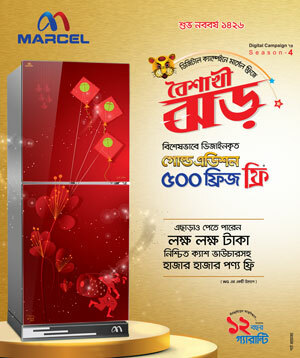 Additional superintendent of police (ASP) Abu Maruf Hossain confirmed the news.